This quote was a later addition to Luther Exposing the Myth (earlier versions do not include it). 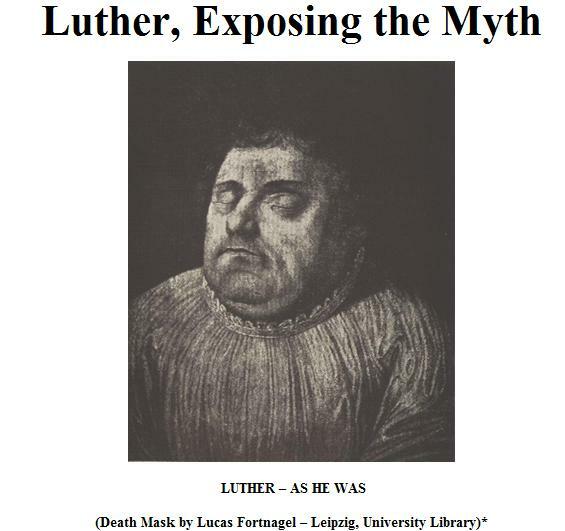 Luther Exposing the Myth says their stated purpose is to show that "from Luther’s own words we shall see him for what he really was, that is a rebellious apostate, who abandoned the faith and led many into apostasy from God under the guise of 'reformation' in order to follow his perverse inclinations." With this quote, they attempt to show Christ said keep the commandments, while Luther says their only purpose is demonstrate they cannot be kept. Denifle gives the reference: "Von der Freiheit eines Christenmenschen (De la liberté chrétienne), Weimar, VII, 23-24." Here is WA 7:23-24. Denifle is citing the German version of this treatise. 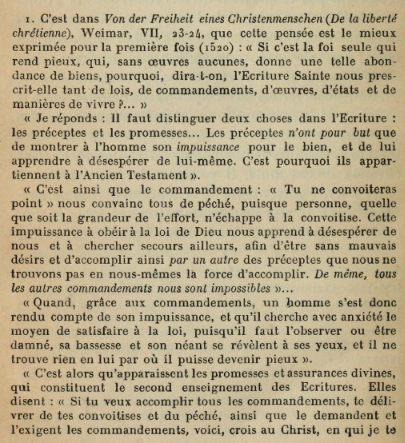 The more precise version is the Latin version (WA 7:49-73). The Latin text has been translated into English: The Freedom of a Christian (1520) [LW 31:327-376; PE 2: 312-348], otherwise known as Concerning Christian Liberty [part one, part two]. There in an English translation of the German text: Bertram Lee Woolf, Reformation Writings of Martin Luther, I, 356–379. But how does it come about that faith alone can make one religious, and give such exceeding wealth apart from any works, seeing that so many laws, commandments, works, and other means are prescribed in the Scriptures? In this connection we must be sure to note and carefully remember that, as we shall see later, faith alone, apart from any act of ours, makes us religious, sets us free, and saves us. We should understand that the entire Holy Scriptures can be divided under two heads: Commandment or God's Law, and Promise or Covenant. The commandments teach and prescribe .many good works, but this does not mean that they are fulfilled by us. They give good instructions, but no assistance. They teach what man should do, but give no power to do it. Hence they are only fitted to show a man his own incapacity for goodness, and to make him learn to doubt himself. For this reason they are called the Old Testament, and all belong to the Old Testament. The commandment: "Thou shalt not have sinful appetites", shows that all of us are sinners, and there can be no man without sinful appetites, let him do what he may. Thereby a man learns not to depend on himself, but to seek help elsewhere in order that he may be without sinful appetites. Thus he may fulfill the commandment through another, although he could not do so himself. In the same way, all other commandments are impossible to us (Reformation Writings of Martin Luther, I, 360-361). Should you ask how it happens that faith alone justifies and offers us such a treasure of great benefits without works in view of the fact that so many works, ceremonies, and laws are prescribed in the Scriptures, I answer: First of all, remember what has been said, namely, that faith alone, without works, justifies, frees, and saves; we shall make this clearer later on. Here we must point out that the entire Scripture of God is divided into two parts: commandments and promises. Although the commandments teach things that are good, the things taught are not done as soon as they are taught, for the commandments show us what we ought to do but do not give us the power to do it. They are intended to teach man to know himself, that through them he may recognize his inability to do good and may despair of his own ability. That is why they are called the Old Testament and constitute the Old Testament. For example, the commandment, “You shall not covet” [Exod. 20:17], is a command which proves us all to be sinners, for no one can avoid coveting no matter how much he may struggle against it. Therefore, in order not to covet and to fulfill the commandment, a man is compelled to despair of himself, to seek the help which he does not find in himself elsewhere and from someone else, as stated in Hosea [13:9]: “Destruction is your own, O Israel: your help is only in me.” As we fare with respect to one commandment, so we fare with all, for it is equally impossible for us to keep any one of them. Now when a man has learned through the commandments to recognize his helplessness and is distressed about how he might satisfy the law—since the law must be fulfilled so that not a jot or tittle shall be lost, otherwise man will be condemned without hope—then, being truly humbled and reduced to nothing in his own eyes, he finds in himself nothing whereby he may be justified and saved. Here the second part of Scripture comes to our aid, namely, the promises of God which declare the glory of God, saying, “If you wish to fulfill the law and not covet, as the law demands, come, believe in Christ in whom grace, righteousness, peace, liberty, and all things are promised you. If you believe, you shall have all things; if you do not believe, you shall lack all things.” That which is impossible for you to accomplish by trying to fulfill all the works of the law—many and useless as they all are—you will accomplish quickly and easily through faith. God our Father has made all things depend on faith so that whoever has faith will have everything, and whoever does not have faith will have nothing. “For God has consigned all men to disobedience, that he may have mercy upon all,” as it is stated in Rom. 11[:32]. Thus the promises of God give what the commandments of God demand and fulfill what the law prescribes so that all things may be God’s alone, both the commandments and the fulfilling of the commandments. He alone commands, he alone fulfills. Therefore the promises of God belong to the New Testament. Indeed, they are the New Testament. 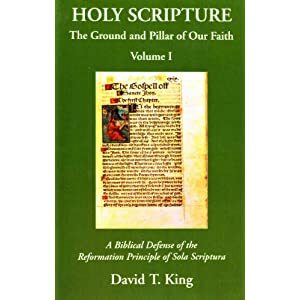 If you desire to believe rightly and to possess Christ truly, then you must reject all works that you intend to place before and in the way of God. They are only stumbling blocks, leading you away from Christ and from God. Before God no works are acceptable but Christ's own works. Let these plead for you before God, and do no other work before him than to believe that Christ is doing his works for you and is placing them before God in your behalf [The Complete Sermons of Martin Luther 1:110]. Good works though do have a place. 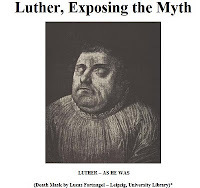 Luther abhorred the pseudo-works perpetuated by allegedly devout Roman Catholics. Pilgrimages, idolatry, monkery, self-denials, etc., which were considered “good works” one does for oneself on the road to eventual salvation. Luther defines good works as those “works that flow from faith and from the joy of heart that has come to us because we have forgiveness of sins through Christ” [What Luther Says 3:1499]. Only what God commands is a good work: “Everybody should consider precious and glorious whatever God commands, even though it were no more than picking a wisp of straw from the ground” [What Luther Says 3:1500]. Works aren’t done because we want salvation and fear damnation. Luther says, “…[W]e are not to do them merely because we fear death or hell, or because we love heaven, but because our spirit goes out freely in love of, and delight in, righteousness” [What Luther Says 3:1499]. Luther plainly teaches that saving faith is a living faith. Luther, Exposing the Myth cites Mathew 19:17 out of context: Christ appears to be teaching that eternal life is gained by works in Matthew 19:17. This sparse citation is more Pelagian than it is Roman Catholic. Official Roman Catholic dogma states the need for grace and faith as well. Matthew 19:17 in context is actually a striking declaration of the impossibility of being saved by keeping the law. Salvation by the works of law is indeed a way to salvation, but since mankind is dead in sin and hates the law no one can be saved by keeping the law. By striving to keep the law, one learns the need for Christ the savior who did keep the law perfectly. The rich young ruler who spent his life attempting to keep the law is shown by Jesus that he hasn’t even begun to keep even the first of the commandments. Upon seeing this, the disciples ask in astonishment, “who then can be saved?” The Lord responds, “With man this is impossible, but with God all things are possible.” Rather than Christ teaching that salvation is accomplished by works, the passage demonstrates the futility of achieving salvation by works, and Christ declares that salvation is completely the work of God. Indeed, the law must be fulfilled in both heart and action. Only Christ has kept the law perfectly. If one seeks for the "good news" of the Gospel in Matthew 19, one will not find it in Matthew 19:17, but in Matthew 19:25-26, "Who then can be saved? Jesus looked at them and said to them, with men this is impossible, but with God all things are possible." Reminds me of Tim Staples. "Luther: The Commandments Only Show Man What He Can't do"
.."by himself", he probably means..
You are clearly unclear when it comes to Luther's theology. You've got the Internet, so use it and learn some stuff before you post comments. Bro. Martin lives through Swan's song, that is these posts! And a beggar are we all!